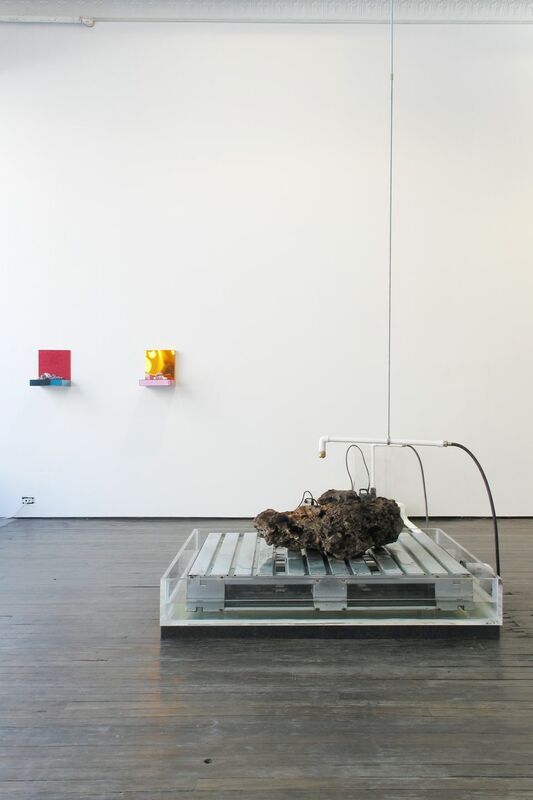 Installation View of New / Used / Wet / Broken at Jack Hanley Gallery, New York, 2013. 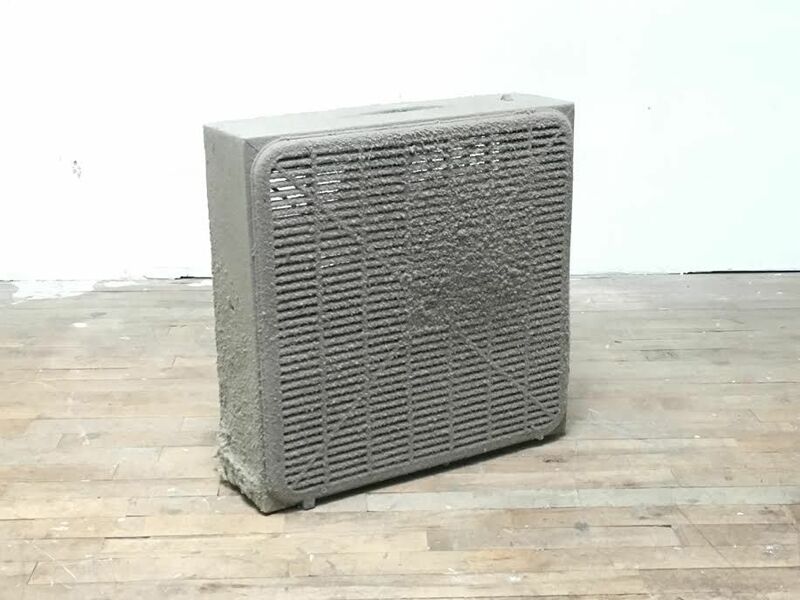 Detail from New / Used / Wet / Broken at Jack Hanley Gallery, New York, 2013. Jeff Williams' (b. 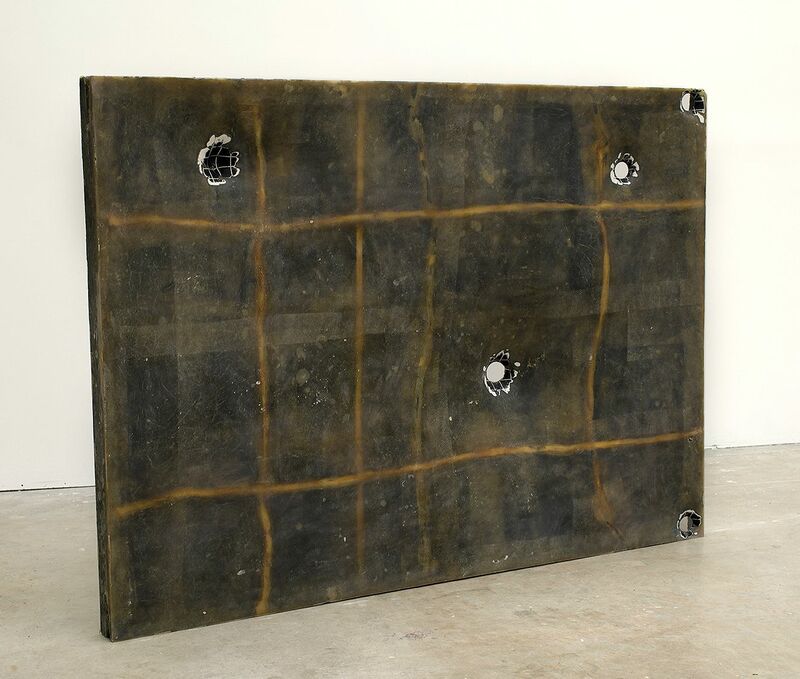 1976, lives and works in Austin, TX and Brooklyn, NY) work is concerned with the properties of materials and their relationship to each other and over time. 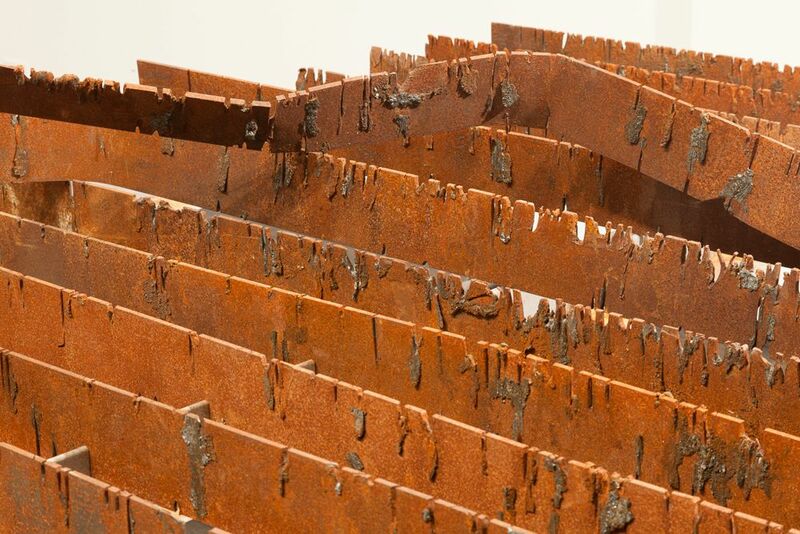 The artist combines and alters architectural materials and industrial waste as well as geological formations and quotidian objects in ways that induce and accelerate processes of erosion and decay and illuminate the elementary and sensory specificity of the materials. The work often functions as a form of research, predicated upon engineering principles, scientific theories and bodies of knowledge, such as processes of chemical reactions or ideas in physics, and undermines ideas around permanence and certainty within the built environment. 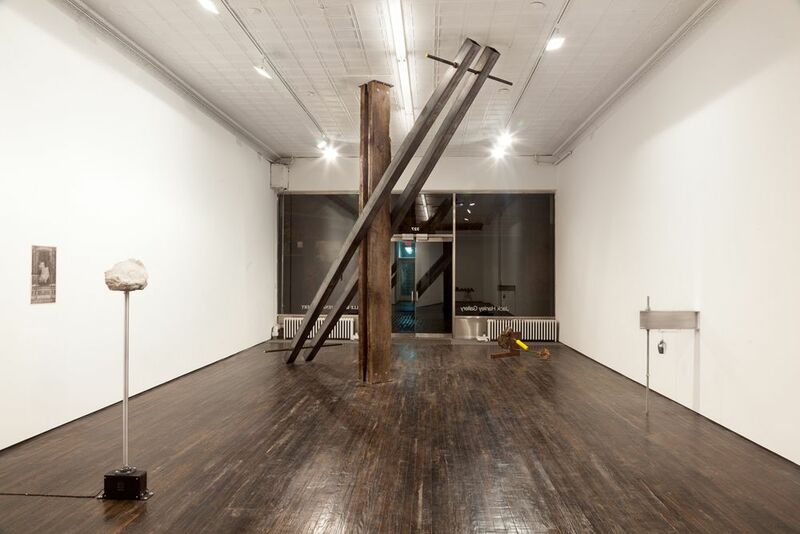 Recent solo and two-person exhibitions include Bending Moment at Jack Hanley Gallery, New York, New / Used / Wet / Broken, 1708 Gallery in Richmond, VA and Microwave Mint at Helper in Brooklyn, as well as For an Abstraction: Christopher Culver & Jeff Williams at Co-Lab in Austin, 11 week interval at The Contemporary Austin, Texas and 9 week interval at Spaces in Cleveland. Recently, the artist participated in the 99 Cents or Less at the Museum of Contemporary Art Detroit, Troy Brauntuch, Andy Coolquitt, Jeff Williams at Lora Reynolds Gallery in Austin, House, What is Your Crime? at the Knockdown Center in New York, How The Light Gets In at The Museum of Fine Arts Houston, October 18, 1977 at Klemens Gasser & Tanja Grunert, Inc. and Weird Science at Jack Hanley Gallery in New York. Williams received his BFA from Columbus College of Art and Design in 1998 and his MFA from Syracuse University in 2002. 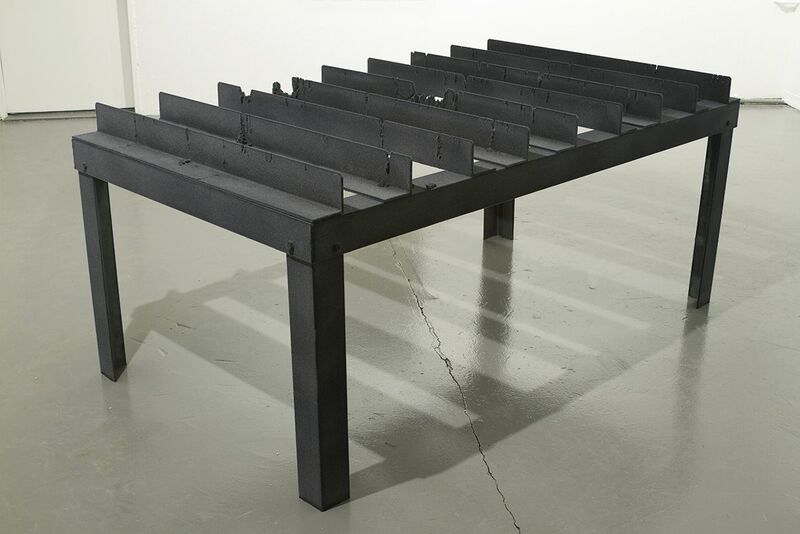 Williams has exhibited across America and internationally, and in 2012 he received the Texas Prize from The Contemporary Austin. 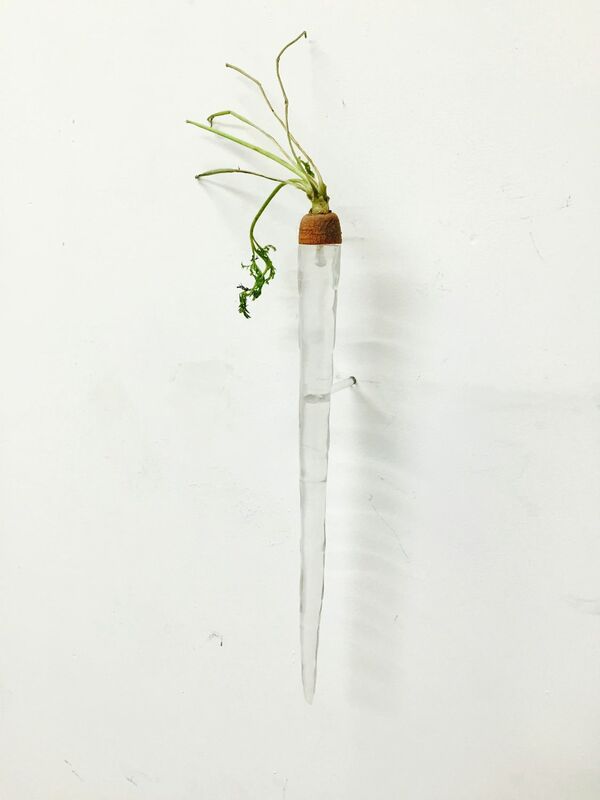 Williams has received numerous accolades and residencies, most recently from RAIR (Recycled Artist In Residency) in Philadelphia, Headlands Center for the Arts in Sausalito, California, Artpace in San Antonio, Galería Perdida, in Michoacán, Mexico and the Core Program through the Museum of Fine Art Houston, Texas. 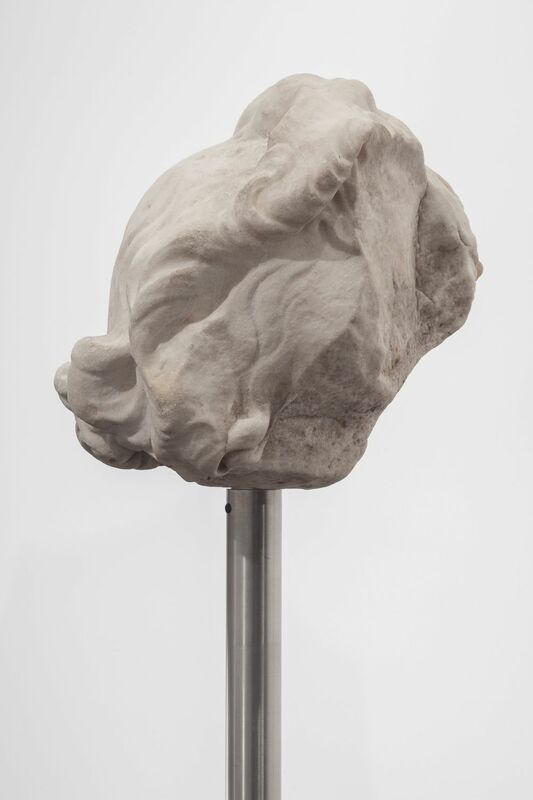 The artist received fellowships from the Socrates Sculpture Park in New York and the American Academy in Rome through The Leonore Annenberg Foundation. Public collections with works by the artist include the Museum of Fine Arts Houston, Texas.